Priyadarshini Institute of Engineering and Technology, Nagpur is a highly prestigious private institute of Vidarbha region of Maharashtra. The institute was established in the year 1999 having built up area of 2 lakhs sq.ft. under the umbrella of Lokmanya Tilak Jankalyan Shikshan Sanstha. It is affiliated to Rashtrasant Tukadoji Maharaj Nagpur University, Nagpur. The institute has been accredited by National Board of Accreditation (2009-2012) and has also applied for re-accreditation for all the leading disciplines. Within a span of just seventeen years, the institute has achieved tremendous glory and newer heights developing an education brand in central India. As a result, the institute was conferred by National Award in 2016 for Innovation in Building Academics and Industry Interface. 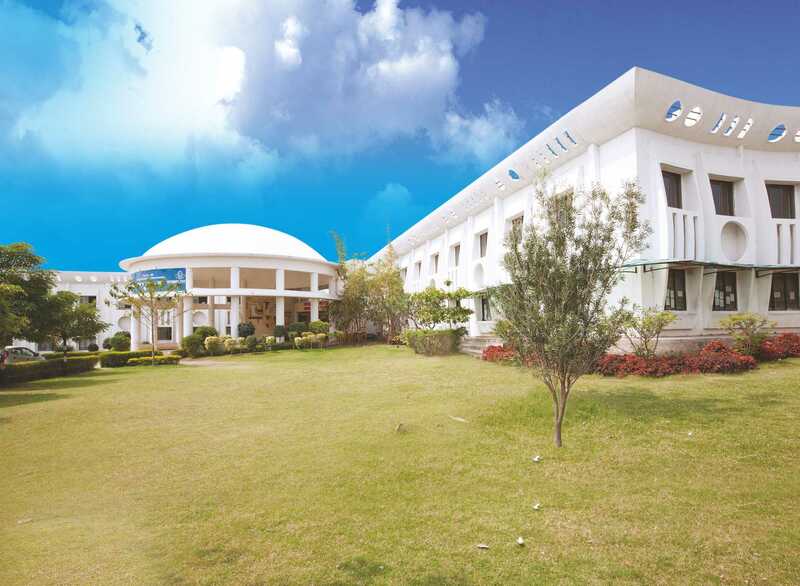 The mammoth infrastructure holding state of the art laboratories, library, seminar halls, workshops, auditorium, swimming pool, gymnasium, temples, lush green lawns and many more provide a serene and healthy atmosphere for teaching learning process. The institute runs 7 undergraduates, 3 post graduates and 6 doctoral programmes affiliated to Nagpur University. Unique engineering disciplines such as Biotechnology and Chemical Engineering are the special attraction of PIET. The institute is administered by the versatile and out of the box thinker Principal of the institute Dr. Vivek Nanoti. Today PIET can boast of having highly efficient and scholarly faculties with more than 25 doctorates. PIET recognizes knowledge based education and value based education, as two key cornerstones in a student’s life. For this, he has promoted knowledge centre, an initiative of Dr. S.D. Jain and centre for excellence, an initiative by Dr. Rozina Rana at his institute. Knowledge Centre has been started at PIET with an aim to overcome the limitations under which the education centers work. Whereas education centers aim at covering the syllabi and learning for examinations and degrees, knowledge center aims at uncovering and discovering the syllabi and learning for knowledge. This is a proactive initiative taken by the institute to develop a ‘knowledge based approach’ among students by conveying how knowledge promises enjoyment, employment, empowerment and enlightenment of learners. 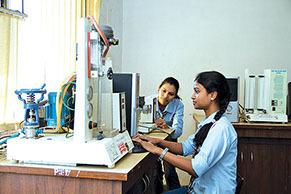 PIET is one of the very few institutes in Nagpur region where under the aegis of Centre of Excellence, soft skills training department has been developed. This department incessantly works hard throughout the year to train the students so as to make them employable. The department has designed special course modules at various levels for soft skills training programmes, employability enhancement training, campus recruitment training, English Speaking clubs etc. Centre of Excellence at PIET has also established ‘The Step up Club’ to identify and develop the most promising young talent and further their careers by presenting them in public competition. Under ‘The Step Up Club’, various workshops like Theater workshop, Movie Club, Music Club, Musical Therapy and other hobby workshops have been set up. Better interaction between Technical institutions and industry is the need of the hour. Dr. Nanoti always remains highly keen to establish industry institute interaction not only within India but also across the globe. The institute emphasizes to prepare engineering students for jobs in multinational companies, by exposing them to newer technologies and engineering methodologies. On this line PIET has signed memorandum of understandings with prestigious organizations like MASS Kuala- Lampur, Malaysia, TCS, NIMH, Baidyanath, India Navy, TAL, SIEMENS, ANACONLAB, NKPSIMSRC and many more. Apart from this, large number of National and International tie-ups and Conferences, High quality teachers trainings as well as students training, perfect academic planning and meticulous implementation, Outstanding University results and good number of placements of eligible students have made the institute as first preference among students from all corners of the country. MNCs of international repute like Infosys, Acccenture, Tech Mahindra, Patni Computes, IBM, Zensar, L&T, KPIT Cummins,HCL, HSBC, Oracle are few of the companies which visit the campus regularly for Campus recruitment. Dr. Nanoti believes that teachers are instrumental in shaping the future and as a result has worked to celebrate the achievements of teachers and elevate their position as influential role models. In order to empower the faculties with the latest technology and contemporary needs, comprehensive and systematic Training Need Assessment (TNA) based on the needs of the departments is continuously carried out at the institute PIET. The institute is well known for having research centers in core branches of high repute. These research centers are becoming nodal canters for advance study and research and also to share and care the needs and other expectations of research scholars. Various other cells of great importance such as Industry Institute Interaction, Entrepreneurship Development Cell, Continuing Education Cell, Research and Development Cell, International Relations Cell, Health and Hygiene cell, Crisis management cell, Higher Learning cell, Psychological Counseling Cell etc help students in their all round development and also provide opportunities to become the best in the respective area of interest. Various Students forums, active Staff and Students chapters of National and International level Professional Societies (IEEE, ISTE, CSI,IETE, ISHARE, IICHE, VIA, VMA) strengthen the quality of education and expose the students to all possible avenues ahead in their career. 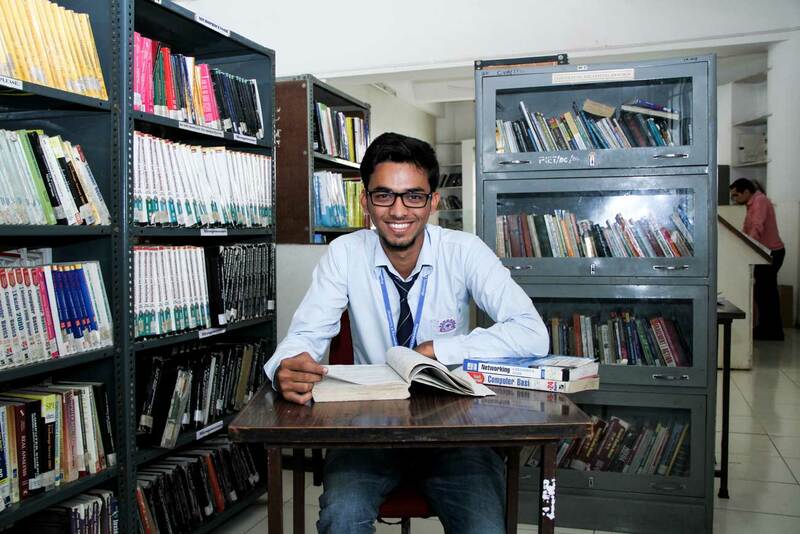 The college library is well equipped with the varied range of text books, reference books, self learning materials, competitive exam books of eminent authors and publishers with more than 9,000 titles and 25,000 volumes. To keep the teachers and the students abreast with the latest happenings in their disciplines, the library comprises of all the leading local newspapers, weekly and monthly magazines on current events, general knowledge books, useful journals, research bulletins on different subjects. Book bank facilities, E books access, Online NPTL courses, Online access to International Journals through INDEST-AICTE Consortium and all the allied facilities are provided by the central library of the institute. The total investment of the library goes to the tune of Rs. 1 crore. PIET organises annual Alumni Meet to strengthen the existing bonds with its passed-out students, to share their success and experiences and also to honour their achievements. To develop an understanding of the importance of sport in the pursuit of a healthy and active lifestyle at the College and beyond, Sports department of the institute is quite active. The department not only prepares the students to represent the college at the university level but also organises national sports meet annually. For fostering the entrepreneurial spirit and creativity among the students and even faculties, Incubation Centre, Innovation Club, Entrepreneurship Development Cell, Patent Cell, Ph.D. Cell, Wisdom corridor and Nobel Laureate corridors have been hosted by the institute. I speak English Club of the institute exclusively takes care of the students’ communication skills and helps the students to speak fluently in English. Apart from this the institute has made a provision to impart education of Foreign Language to interested students. In order to instil into the students a faith in themselves, in their country and in their people and also to take care of their spiritual and emotional health, dedicated Meditation Centre, Happiness Corridor, Art of living workshop have been set up in the institute. PIET has always depicted its philanthropic gestures by regularly participating in various activities conducted by Rotary Club, Goonj, NSS. The educational enterprise resource planning (ERP) software is looking after the entire administration, campus operations and academic management in an efficient way. Today PIET has not only established all the facilities to impart effective education to students but also has achieved the distinction as one of the best equipped institutes of the state. PIET has to yet achieve many more milestones in near future. The IEEE student branch has been established in December 2011 as IEEE Priyadarshini Institute of Engineering & Technology, Nagpur branch. The student branch has organized many technical events including workshops, seminars and technical symposiums. The Indian Society of Heating, Refrigerating and Air Conditioning Engineers (ISHRAE), was founded in 1981 at New Delhi by a group of eminent HVAC&R professionals. ISHRAE today has more than 10,000 HVAC&R professionals and 3,000 students as members with 40 chapters and sub chapters across India. The mission of the CSI is to facilitate research, knowledge sharing, learning and career enhancement for all categories of IT professjona(s, while simultaneously inspiring and nurturing new entrants into the industry and helping them to integrate into the IT community. 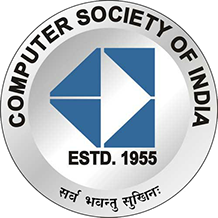 The CSI is also working closely with other industry associations, government bodies and academia to ensure that the benefits of IT advancement ultimately percolate down to every single citizen of India. 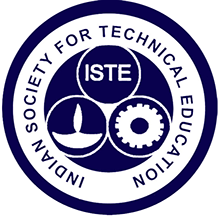 The Institution of Electronics and Telecommunication Engineers (IETE) is India's leading recognised professional society devoted to the advancement of Science and Technology of Electronics. Telecommunication & IT. The IETE conducts and sponsors technical meetings, conferences, symposia, and exhibitions all over India, publishes technical journals and provides continuing education as well as career advancement opportunities to its members. 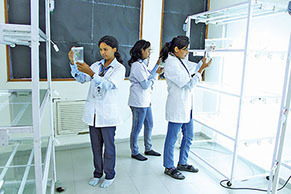 MIHAN is being developed by MADC. MIHAN is spread over an area of 4311 hectares. The project include a SEZ (2086 Hectares), a Captive Power Plant, a Health City, Road and Rail Terminals, an International school and a Residential area on 3,600 hectares of land. MIHAN is set to turn into a value addition to the region by Rs. 5,22,254 million with employment generation of about 94,000 jobs. The Multimodal International Hub at Nagpur (MIHAN) is opening up New vistas of development in Vidarbha. This project is creating ample employment opportunities for engineers. As per our survey, the Twenty Five reputed Software Companies are coming in SEZ and will generate an employment for 50,000 engineers namely Electronics, IT, Computer. The MIHAN Project is creating enormous career opportunities for Chemical engineers and Biotech engineers. This provides a cutting edge advantage to our student as these courses are offered in PIET. As per one analysis MIHAN would generate requirement of 25,000 engineers from these two fields in food industries, Pharmaceuticals and other agro based industries. The Institute runs eight courses for studies namely, Chemical Engg., Electronics & Comm. 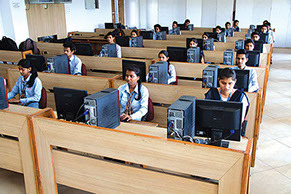 Engg., Computer Science and Engg, Information Technology, Computer Technology, Mechanical Engg. 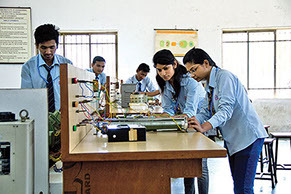 Electrical Engg. & Biotechnology. 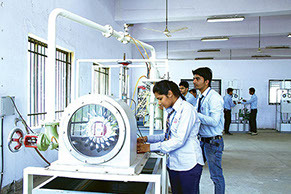 This is the only private Engineering College which offers course of Chemical Engg. & Biotechnology in Nagpur University. This provides an edge for placement in various industries over other colleges. 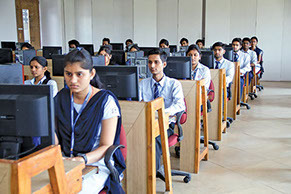 This college is the pioneer in Vidarbha region for giving B.Tech. degree to Bio. Tech. students. To develop responsible citizens who would 'think global and act local' and become the agents to bring about a change in the society to meet the challenges of future. IT graduate will be prepared to gain employment as an IT professional, will function effectively as an individual and team member in the work place, will pursue lifelong learning and will be able to continue their formal education. To make them industry ready and knowledgeable engineers, productive and modern engineers, multifaceted computer professionals, innovative thinkers and researchers, and ethical professionals. To prepare the students to have professional and communication skills with ethical attitude to function as members of multi-disciplinary teams in Engineering and other industries and to assume leadership role. To demonstrate proficiency in the principles & methods essential in modern chemical engineering and technology, to lead the foundation for professional growth and to develop high level technical skills to function harmoniously. To prepare students to succeed in employment and profession, to prepare with engineering breadth to innovate,design, develop software products and to contribute in providing solutions related to multidisciplinary real life problems. To develop the ability among students to synthesize data & technical concept for application to product design and to inculcate effective communication skills, multidisciplinary approach & ability to relate engineering issues. With a strong foundation in basic Sciences & Mathematical Tools, our graduates will have careers in Electrical & Electronics Engineering with abilities to tackle complex engineering problems, or be employable in a related career. Library Area : 838 Sq. m.
* Online access to DELNET Database. Well stocked collection of books of all disciplines. Free access to books for students & faculties. Newspaper in local and English languages. Online Access to International Journals through INDEST - AICTE Consortium, New Delhi. More than 1000 Book CDs.